Charlemagne (742-814) was king of the Franks and later King of Italy. 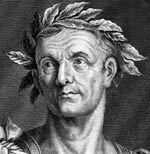 He became the first Roman Emperor since the fall of the Western Roman Empire three hundred years earlier. His strong leadership and successful military campaigns played a key role in strengthening the position of Christianity and the Papacy in Western Europe. 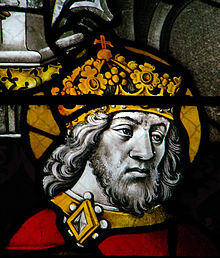 Charlemagne (Carolus Magnus, meaning Charles the Great) was born in 742 close to Liege, modern-day Belgium. Charlemagne was the son of Frankish king Pepin the Short. On his father’s death in 768, the kingdom was split between Charlemagne and his younger brother, Carloman. However, Carloman soon died leaving Charlemagne as the sole ruler. In his early years as King, Charlemagne was frequently involved in military campaigns expanding the Frankish kingdom and putting down rebellions. In particular, he fought the Saxons in Eastern Europe and forcibly converted them to Christianity. During his reign, the Frankish kingdom spread to include much of western and Central Europe. Importantly, he also conquered Italy. The present pope, Pope Leo III was threatened by the Romans, and Charlemagne agreed to protect the pope. 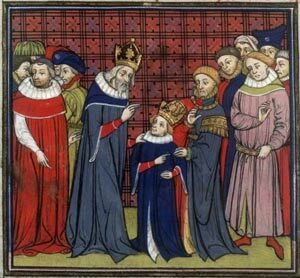 In return, Pope Leo III crowned Charlemagne as Emperor of the Western Roman Empire. This strengthened the position of Charlemagne, giving his kingdom a close relationship with the Catholic church. This greater protection enabled a mini-renaissance (known as the Carolingian Renaissance). The relative peace and stability helped provide a boost to the arts, culture and the Catholic church. Charlemagne also produced many internal reforms, such as standardising rules and regulations. He encouraged many scholars to come to his court and established a new library of Christian and classical works, which were an important seat of learning for the middle-ages. Through his foreign conquests and internal reforms, Charlemagne helped define both Western Europe and the Middle Ages. He is considered the ‘Father of modern Europe’ for the way he united warring European factions. He is listed as Charles I in the regal dynasties of France, Germany, and the Holy Roman Empire. Charlemagne had eighteen children over the course of his life with a total of eight different wives or concubines. Charlemagne died in 814, and after his death, his empire quickly crumbled. 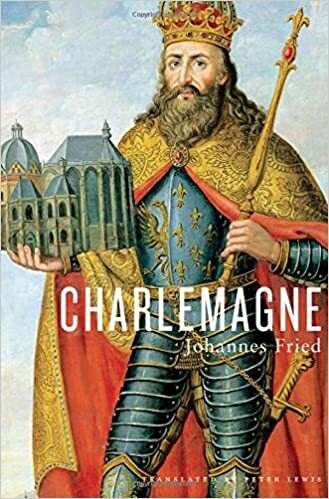 Charlemagne at Amazon – Historian and author of The Middle Ages Johannes Fried presents a new biographical study of the legendary Frankish king and emperor who shaped Europe’s destiny in ways few figures, before or since, have equaled.